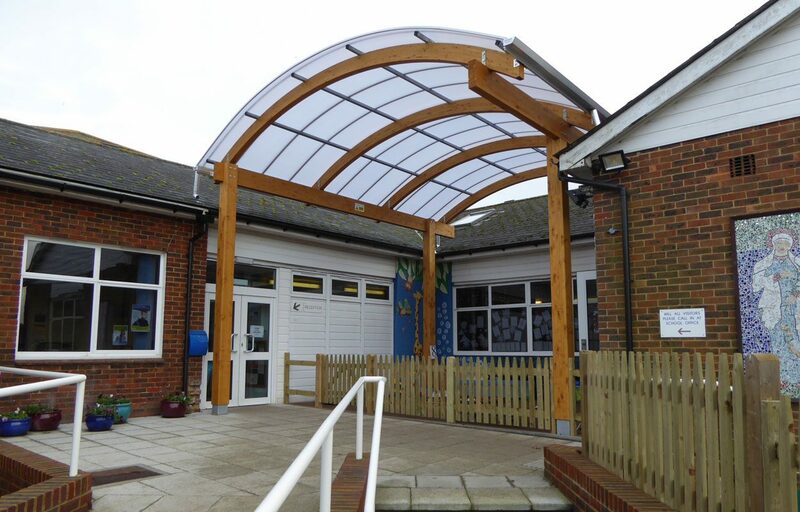 Canopy nestles perfectly within existing context to cover play area. 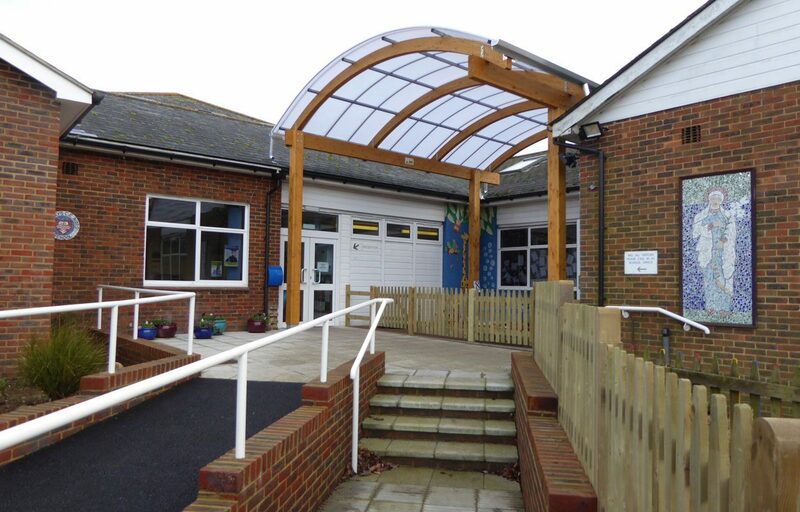 A structural timber canopy was designed and built for St Mary’s Primary School in Pulborough. 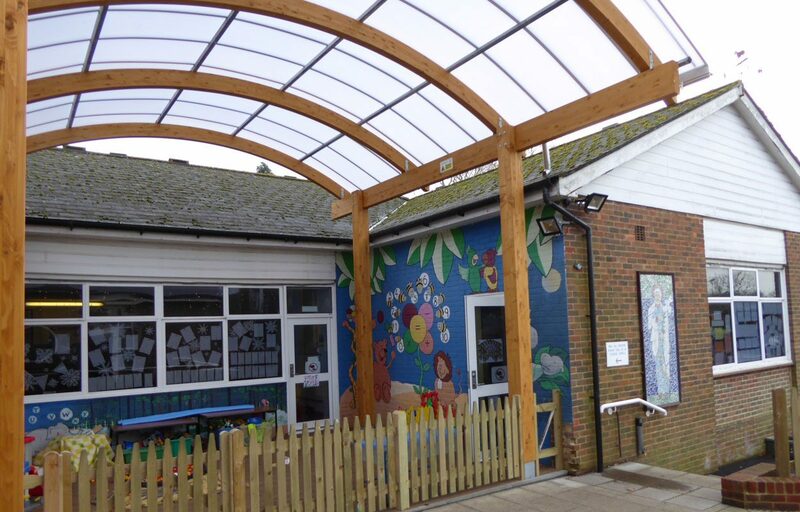 The canopy design nestles perfectly in between the existing school building to provide cover for a small play area and surrounding doors. Completed by a polycarbonate roofing solution, Fordingbridge’s timber in FSC and PEFC certified, guaranteeing the sustainability of the product. 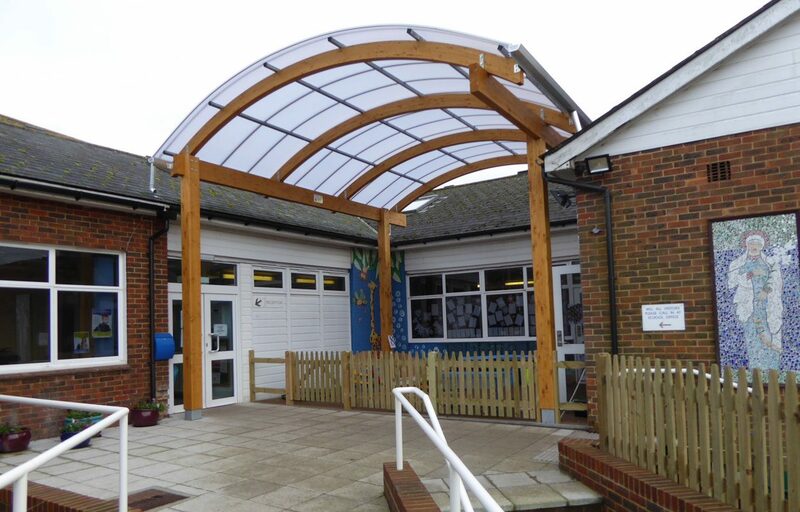 Alternatively, a structure can utilise steel – to see our steel canopy examples, click here. With over 50 years experience across the UK, Fordingbridge provide a complete design and build service guiding you from discovery to design through to installation.